Poor data quality, broken add-ons, and ineffective integrations are just a few of the tell-tale signs that you may need to refresh your CRM system — or scrap it altogether and start anew. Nothing lasts forever and that includes CRM implementations. At first, your CRM system won praise for increasing productivity. Over time, the story has changed. Complaints from customer service, the sales department and other units have emerged. Through the corporate grapevine, you find out that users are quietly switching to “shadow CRM” arrangements such as using spreadsheets or using one-off CRM solutions in the cloud. Eventually, these problems come to a head. It’s time to overhaul your CRM strategy and system. Given the reality of scarce resources, when exactly does it make sense to revamp your CRM solution? Here are 10 tell-tale signs that you need to refresh your CRM system to achieve better results. Surprisingly, technical challenges are not always the most important reason for a CRM makeover. Before Act, Salesforce and other CRM products became commonplace, many companies developed their own CRM solutions. But the rise of strong offerings, and the need to be agile, have some companies withering under the weight of maintaining their in-house CRM creations. “I’m definitively seeing a trend away from in-house CRM solutions compared to a few years ago. The move away from in-house CRM is usually driven by two factors. First, the maintenance and development cost to keep these systems going becomes unattractive to management at a certain point. Second, these solutions often lack in-demand integrations for Gmail, Outlook and marketing automation,” says Steve Chipman, co-founder of CRM Switch, a consulting firm that provides CRM strategy services. Staff changes, especially at the executive level, often precipitate a CRM overhaul. In many cases, new leadership will take a long, hard look at the current CRM offering and find changes they want to make. For example, they may want to improve the quality of data from front-line sales staff to improve forecasts. Invariably, new leadership will want to change reporting and metrics. Even though it is a well understood risk, single point of knowledge (SPOK) continues to be a common challenge for IT. “If you rely on a single person to create reports, make changes to the CRM and provide other kinds of support and they leave, you have a problem. The right solution may be to overhaul your CRM and staffing approach to prevent this problem from occurring in the future,” LeVell explains. If your company is using a widely used commercial CRM, hiring a replacement is an option. On the other hand, if your CRM was developed internally — such as an internal Access database with links to other systems — locating a replacement will be much more challenging. And once you look into it, you may be better off modernizing the system by replacing it. In larger firms, CRM systems become valuable only when fully integrated with other corporate systems. “If your CRM does not have good connections with the ERP, business intelligence or marketing analytics units, it is probably time for an overhaul,” LeVell says. How do you spot this problem in your organization? Look for complicated manual processes where staff work as “human integrators” between systems that could be connected. Creating a report for the first time often requires give and take as you fine-tune the presentation and details. But once a report becomes a monthly essential in describing the status of a line of business, that kind of effort better be easy. “I have seen cases of managers and sales representatives taking several days each month and each quarter to prepare reports. That suggests that the CRM does not have the required business capabilities,” LeVell says. If your staff take time to collect reports and data from multiple sources and coordinate it with Excel or Access, your CRM is probably due for an overhaul. Overcoming this problem starts with understanding the lay of the land. Create a list of the reports that sales, marketing and other business units require, and question each of those report to find which add value and which collect virtual dust when issued. At the same time, look into the quality of the data and related processes that feed these reports. 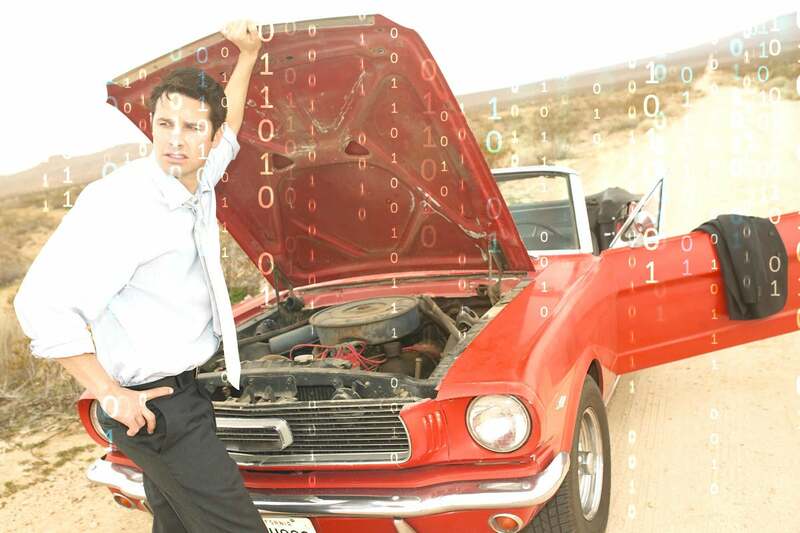 In some organizations, governing data quality is an IT responsibility. If that’s the case at your organization, IT will have a critical leadership role to play in overhauling the CRM program. For a larger business, CRM governance quickly becomes an onion with multiple layers. At the lowest level, governance defines the CRM’s fields and who enters what data. At a higher level, there needs to be a process to govern data and changes. “Some organizations restrict who is allowed to close deals and when — that function may not be carried out directly by the sales representatives,” LeVell explained. Problems are not the only reason for investing in a CRM overhaul. New data resources can mean new opportunities, and sometimes refreshing the CRM is necessary to capitalize on this. Whether your firm uses cloud or on-premises CRM, upgrades are a fact of life. Sometimes an update can set off a chain of events that can hobble your CRM’s capabilities, especially customizations and add-ons. “Every time I hear about a new update for Salesforce or another CRM, I carefully review the release notes to find out which areas and modules will be impacted. In some cases, a given integration or an add-on may stop working,” Dufour says. To mitigate this risk, take a proactive approach to the CRM vendor. “Some CRM vendors are willing to provide early access to new versions before they push out an update. Experimenting with those early versions is an excellent way to find out if your implementation will be impacted,” he adds. A CRM produces results only if it is used. Here, adoption and integration into your organization’s daily work is essential. “CRM adoption data is a key metric to consider in looking at your CRM. For example, you can look at login frequency to gain a sense of which users are using the CRM and which are not using it. You may discover that a whole unit — such as marketing or your field sales staff — is not using the CRM,” says Chipman. If you already have raw usage data, consider painting a more in-depth picture by collecting qualitative information about your users. Though such observations may not be statistically robust, this approach helps you to discover pain points you may have failed to discover. Receiving irrelevant sales and marketing pitches waste everyone’s time. Competing or inconsistent customer data is one cause of the problem. The lesson for CIOs is that no CRM program is ever truly finished. Whether you are excited to take advantage of new marketing automation tools or simply want to end user complaints, it is better to look at CRM as a work in progress.